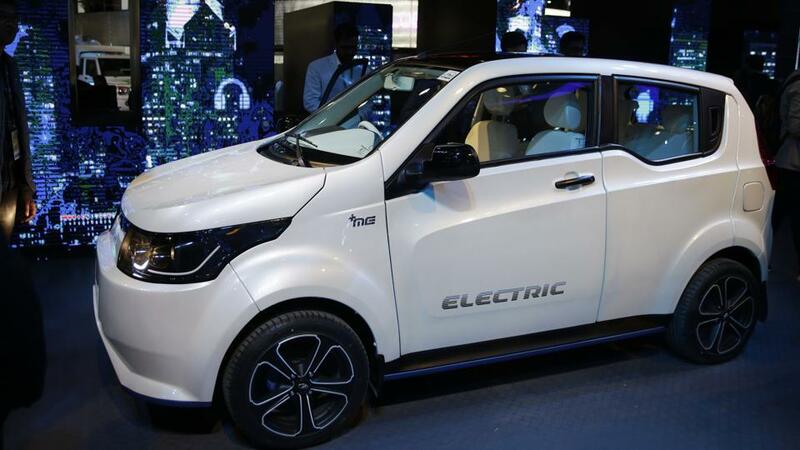 Six Electric cars to unveil in India by 2020, India’s Electric Car network is ready to rise! Delta Electronics is one of the few rushing infrastructure makers in the Indian Market. They are the producers of the Bharat Charger. 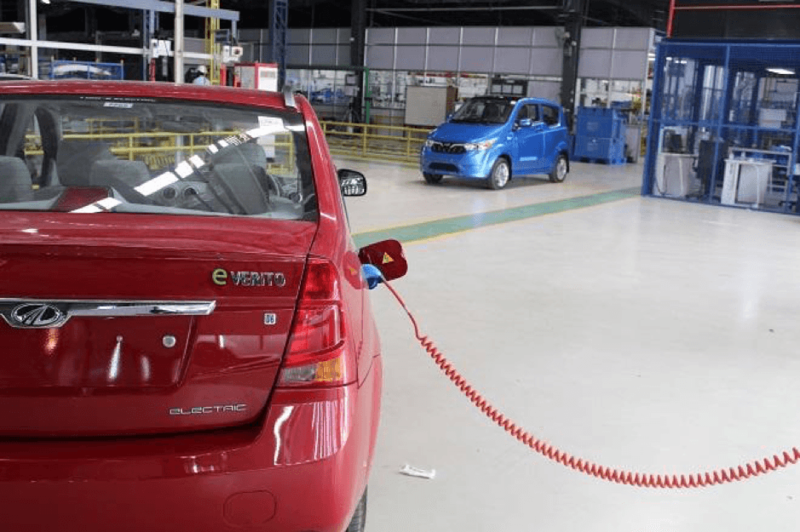 A kind in India charger for EVs that can charge the present crop of Indian electric cars, like the e20, the e Verito, and the Tata Tiger EV. Their Managing Director, Mr. Dalip Sharma in Delhi speaks about what they feel about India’s electric future. What latest charging stations will glance like and how much it will amount for this enormous prototype shift in the conveyance. 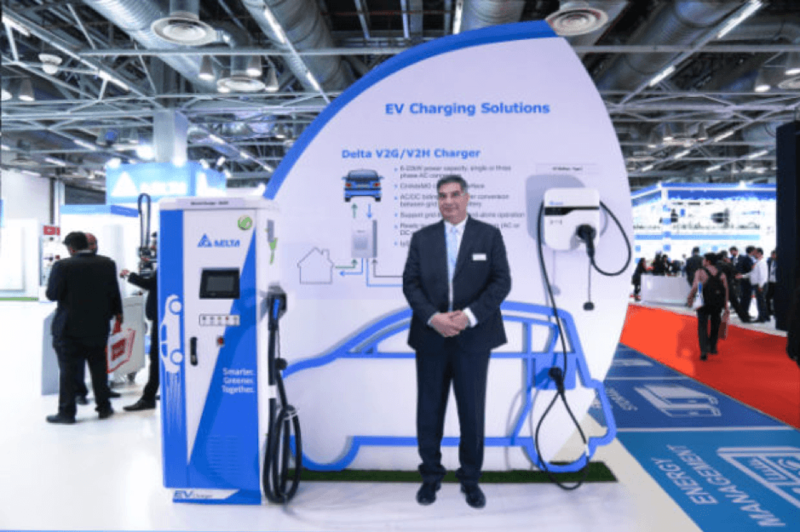 Tell us a little about what Delta Electronics is planning for the Electric Vehicle EcoSystem in India? When you speak about Charging Infrastructure what is your target audience? How do you EVs entering the market over the next few years, how do you envision charging infrastructure over the next few years? Will it follow the fuel station model or is it likely to go another way? Being the Ecosystem provides what kind of timeline are you looking at for Electric Cars? Do you see individuals buying a charging station for their homes in the future? What kind of investment does this entail from the standpoint of a manufacturer? Is your focus on these units local sales or exports? 1 Tell us a little about what Delta Electronics is planning for the Electric Vehicle EcoSystem in India? 2 When you speak about Charging Infrastructure what is your target audience? 3 How do you EVs entering the market over the next few years, how do you envision charging infrastructure over the next few years? Will it follow the fuel station model or is it likely to go another way? 4 Being the Ecosystem provides what kind of timeline are you looking at for Electric Cars? 5 Do you see individuals buying a charging station for their homes in the future? 6 What kind of investment does this entail from the standpoint of a manufacturer? 7 Is your focus on these units local sales or exports? One of the things we work with on a global level is the electrified powertrain, what we would conventionally call an engine, we supply components and powertrains to some of the global OEMs. Germans, Japanese and some brands from the United States dealing in electric cars, are a part of our clientele. We like to say that we are under the bonnet of the Electric Cars meaning that we understand them at a fundamental level and I think that is what we bring to the table, uniquely. It was the logical next step for us as an electronic, power and power conversion company to move to charge infrastructure especially in a country that needs it the most! As far India is concerned we will be looking at charging infrastructure particularly, especially considering that we are already supplying powertrain components at a global level. Indian companies may still have their ways to go before a complete product is ready. Whether it be a public charging or fleet charging through a hub-model, we want to be the flag-bearers in India. Space, where we plan to get the initial traction, will be the transportation segments, where our chargers can service a fleet of vehicles. We were also one of the first companies to make an electric car charger in India. The Bharat Charger which will go to PSUs and other benefiting from the EESL tender, these will go on to charge the Tata Tiger EVs and the Mahindra Verito EVs that will be supplied to EESL. The Bharat Charger is best suited for Indian cars with both AC and DC charging capabilities. DC being the more popular fast-charging unit. We also have chargers for foreign electric cars that are at par with the Superchargers available globally that charge at a completely different voltage rating. We are currently one of the leading EV charging infrastructure providers in Europe and in the US. Setting up the same system in India is a matter of time. Infrastructure system integrators will be another one of our customers provided they emerge in the country. “The Beast”, car, that Donald Trump, US President, travels in! It’s like to be a mix of various setups. The fuel station model is unlikely to be effective considering that Electric Vehicle will need a lot more time to charge than a conventional ICE motorcar will take. We are thinking of it more as a station for chargers alongside a row of convenience stores so that people can come put their cars on charge and continue with their work while the cars charge. Things like coffee shops, grocery stores, and ice-cream parlors will be ideal for this kind of set up. Abroad malls have a designated spot for EVs where you can charge the vehicle while you wait. The idea is to keep the customer engaged. We are clear that between now and 2020 the lions-share of our revenue will come from the Bus market. Which is the state transport corporations, to be precise? Aside from that fleet operator such as Ola and Uber will be another chunk of our business until 2020. Apart from the Bharat Charger which we will be setting up at offices and PSUs over the next few years. We expect a hockey stick growth by 2020. Which is when we will see the foreign brands coming to India in a big way. Till now We can confirm through our sources that at least 6 models across the spectrum will be launched in India by 2020, but I wouldn’t be surprised if there were 12 or even 13. Everybody wants to have the first mover advantage. As of today, even for those people who have imported electric vehicles in India, buying an additional charging unit that costs north of Rs 25 lakh. Even for the benefit of fast charging, it doesn’t make sense. Because a slow charger can do the job out of a wall socket while the car is parked. It’s on the road and in major hubs where these charging stations will really succeed! We know that the cars that are here already are being charged at home. However once a charging infrastructure is in place for the people, they are likely to make the switch as well. We have already committed 500 million to build infrastructure over the next 10 years. As part of the 500 million, we will invest in one factory that is already coming up in Hosur, the second factory which is coming up will be the largest factory for Delta electronics outside of China. It’s on 120 acres of land, for phase 1 we will be breaking the ground in June this year. We are hoping to be operational by March 2019. This alone will cost us north of 317 crores, just in phase one. We will develop the remaining phases gradually over time. We will also be launching in a Special Economic zone, that will be focused on export. Perhaps most importantly will be our R&D center opening in Bangalore. As you know this where technology is built the infrastructure will follow! The R&D center which is costing us 180 crores will be ready in time for our own 2020 deadline. As of now, India is the center of our focus, we expect to hit 1 billion dollars in the next 8-10 years. Which means that we must explore every avenue that electrified vehicle running in the IOT (internet of things) provides. In that aspect India is yet to have an emerging market leader, our focus is to be that leader. That aside these factories will also serve as a base for Africa, Europe, and the middle east as well.